Mr. Sills received his B.S.S. degree in 1963 and his J.D. degree in 1966 from Loyola University. Upon admission to the Bar in 1966, he served in the United States Army in the Judge Advocate General’s Corps for six and a half years and then as a Special Trial Attorney with the United States Department of Justice Organized Crime Racketeering Section. In 1976, Mr. Sills returned to New Orleans where he partnered with a law firm that represented the New Orleans Public School System. 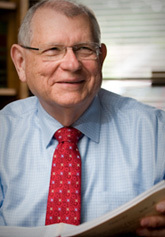 In 1989, Mr. Sills joined Robert L. Hammonds in Baton Rouge as a founding partner in the law firm, Hammonds & Sills. As of July 1, 2012, the firm changed its name to Hammonds, Sills, Adkins & Guice, LLP. Mr. Sills has concentrated in all aspects of trial litigation, including construction problems, constitutional issues involving First Amendment rights, student discipline, injuries on campus, and tenure hearings. He is a member of the Baton Rouge and Louisiana State Bar Associations, the National School Boards Association Council of School Attorneys, Louisiana School Attorneys Association, and Education Law Association. Mr. Sills is a partner located in the Baton Rouge office.